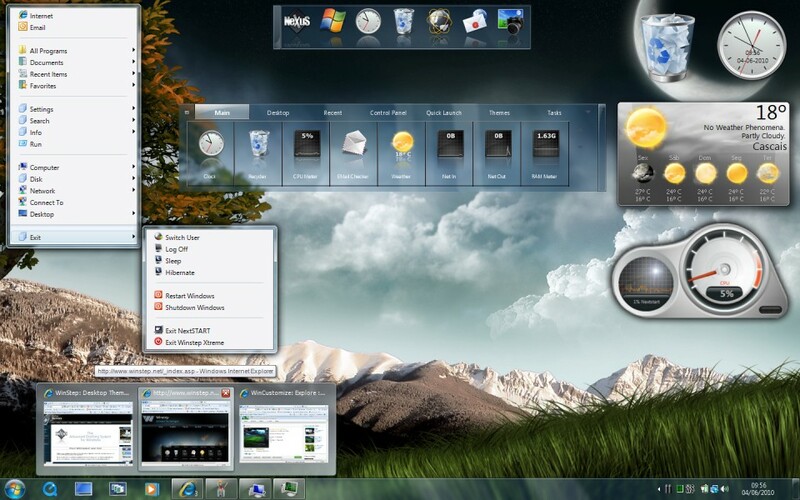 Lets you have a desktop that becomes the envy of whoever looks at it… everybody loves a pretty face! Puts the things you need the most at your fingertips, allowing you to work better and faster. Your documents and applications are always just one or two clicks away. Instead of a generalist User Interface that compromises in order to accommodate millions of users, with Xtreme you can customize the Interface so it suits you, and the way you work. The more you use Winstep Xtreme, the more you'll go 'Wow, this rules!' as you discover all it can do for you.